PAULISTANA, BRAZIL - JANUARY 31, 2014: A deserted house is seen below the towering 150ft high concrete pillars of a bridge, part of the abandoned Transnordestina railway project on January 31, 2014 near Paulistana, Piaui province, in Northern Eastern Brazil. The Transnordestina, a 1,400-mile railroad project which a steel company began building in 2006 in northeast Brazil, offers a view into the pitfalls plaguing projects big and small across Brazil. Intended to be finished in 2010 at a cost of about $1.8 billion, the railroad is now expected to cost at least $3.2 billion, with ample financing from state banks, and be completed sometime around 2016. Long stretches along the routes where freight trains were already supposed to be running now stand completely deserted. 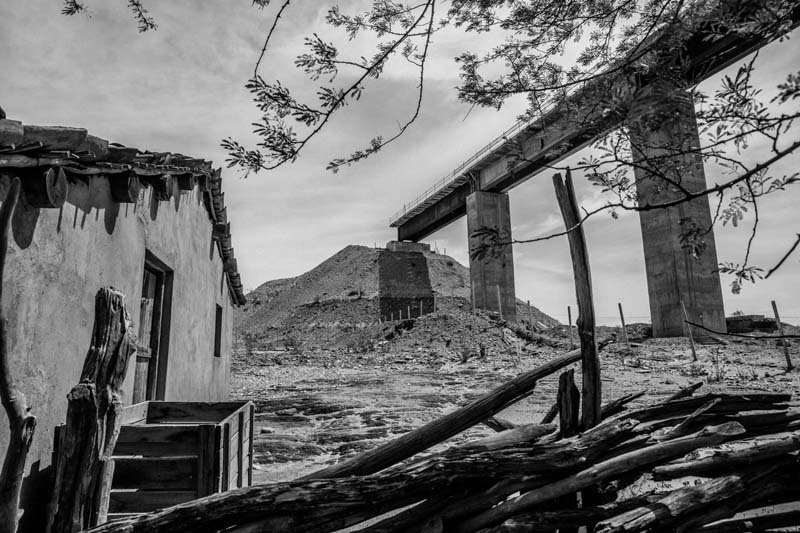 Wiry vaqueiros, or cowboys, herd cattle in the shadow of futuristic railroad bridges with massive concrete pillars towering 150 feet above parched valleys.